We have already had National Beard Week and National Men’s Grooming Day this year and this Saturday 5th September let’s us men celebrate World Beard Day. As you know I will celebrate any day that celebrates the beard. 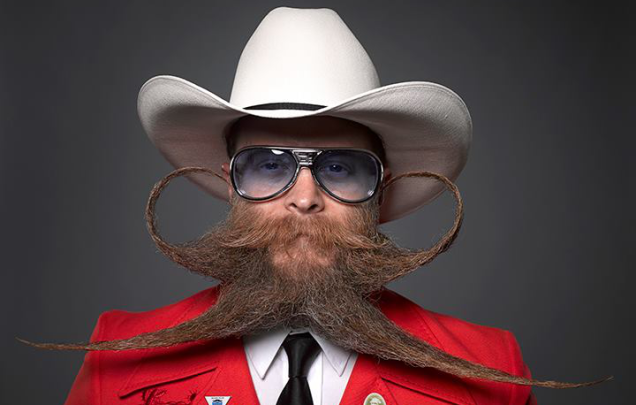 So I thought I would put together a few fun ideas for you and your friends to celebrate world beard day. Why not go get your hair and beard trimmed? What better way to celebrate your beard than going for a trim or reshape. If you are in London or Edinburgh, why not book into Ruffians the barbers. Ruffians specialise in quality barbering and beard shaping and will even offer you an alcoholic drink and Tunnock’s teacake whilst you enjoy the pampering. Alternatively if you are around Mayfair you should book into Gentlemens Tonic. It’s a specialised escape for men; get pampered, have a hair and beard trim and just relax watching TV in one of their private booths. A product that I have loved since being recommend one is a beard oil. It’s like a conditioner for your beard and helps to keep your beard looking healthy. I came across a great beard oil from Dear Barber on beauty and men’s grooming site justmylook that won’t break the bank and will make your beard happy. It has coconut oil, almond and argan oil to help keep the beard smooth and soft and looking in tip-top condition. If all else fails or you cannot grow a beard why not just go out and grab a drink or grab a bite to eat with mates to celebrate? You can go all manly with ribs at One Sixty in Aldgate, enjoy a good burger in London or a big old mac ‘n’ cheese at Tom’s Kitchen. Otherwise cook up a storm at breakfast time with Breakfast Yorkshire Puddings or grab a bottle of drink on the way home and make Mad Men themed cocktails at home. Why not be inspired by getting a new electric razor or a new shave gel? Check out my top grooming products list and my shaving routine for some inspiration. I recommend definitely getting yourself some aftershave care products such Kiehl’s Facial Fuel, it is one of the best products out there. Another range I use regularly is Nip and Man, which Paula introduced me to after she was using the ladies alternative Nip & Fab. We are big fans of sharing here at The LDN Diaries. Send us your selfie with your best beard forward and we will share our favourites. Tweet us @TheLDNDiaries & @DannyDenhard. Or simply put, go celebrate being a man!